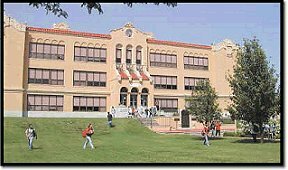 In response to the alleged bed bug infestations reported to the Ponca City Public Schools via social media, the district hired a local professional pest control company to inspect the Senior High School and East and West Middle Schools. After inspecting each school, the pest control company placed bed bug monitors/traps in many areas of each school. The monitors/traps emit a substance that will attract bed bugs to them and trap them inside. This system will allow the pest control company to then inspect and count the number of bed bugs to determine if there is, or is not, an infestation or reason to be concerned. The monitors/traps were left in place for one week, which ended December 19. After the inspection, there were no bed bugs in any of the monitoring devices placed at the three schools. The monitors/traps will be left in place until December 27 at which time the monitors become ineffective in attracting bugs. The pest control company will re-inspect and count any bugs within the monitors/traps, and remove them from the schools if necessary. If any concerns develop during this second inspection, the district will take recommendations from the pest control company to mitigate any beg bug issues at that time. To reiterate from the initial press release: The presence of any bug or insect in our schools on any given day is always possible, as people in general will bring them in on their person or in a backpack. This would include bed bugs, fleas, roaches and lice. When there is a concern from a school site reported to the Ponca City School Maintenance Department, who employs a Licensed Pest Control Technician, they respond and attend to it immediately. The Maintenance Department also treats our schools on a periodic basis as a preventive measure for roaches and other insects.